Best Day Done helps business people get more done with less effort through designing their ideal work day. 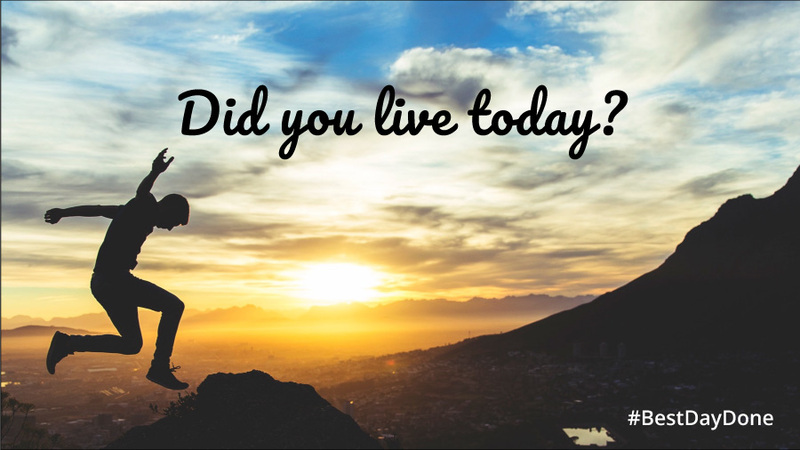 At the end of today, take a moment to reflect on it and ask yourself: Did I live today? This is how you measure your ‘best day done’. To achieve this we have to stop being stressed, overwhelmed and working on time-wasting, brain numbing, unimportant things. Instead, we want to work in our strengths, in line with our values and toward our long-term goals. Best Day Done is an online seminar. No travel needed to attend. You can log in from your preferred location and there’s no dress code. Now, that’s living your best day! Each program is limited to the first ten people to ensure personalised attention. The first Best Day Done program will be on Friday 27 July and Friday 3 August at 8:30am to 10:30am – Melbourne time. It’s only four hours over two sessions to get more done with less effort. Our full price will be $197. Our introductory price for the first program only is $99 (including GST). That’s half price. This includes full manuals and bonus material from Book Rapper – The Get More Done Bundle – valued at $47.